The final talk, given after hearing a talk from Jonathan Bell on the history of healtcare in the USA, and extracts performed by actors, was a concluding talk that discussed both the ‘Gay Fantasia on National Themes’ and the approach to the AIDS epidemic the plays take. Despite being a broader story than simply a ‘gay play’ Angels obviously places Gay life and experience at the centre of it’s narrative. 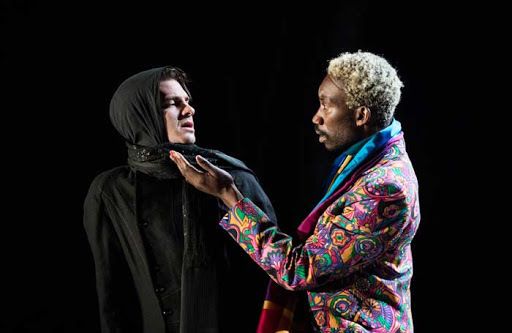 The backdrop for the play had been that of sexual liberation of the 1970s, following The Stonewall Riots in 1969 had kick-started the Gay Rights Movement. When on 28thJune 1969, the night Judy Garland died, a group of Gay customers- led by Drag Queens- grew frustrated at Police harassment and fought back, they sparked a riot, which sparked copy-cat standing up and standing off with the authorities. 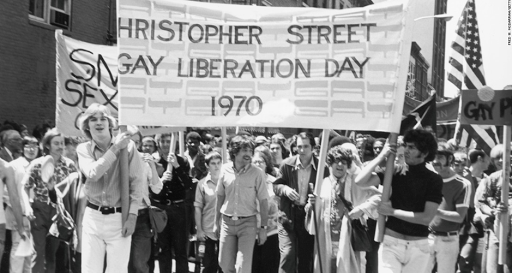 A year later the first Gay Pride March in New York took place on the anniversary. Forming into cohesive, agenda driven community and activism groups there was a sense of politicising and motivation in the Gay community that would become galvanised in the 1980s. The spirit of sexual liberation from the late 1960s and into the 1970s, combined with this new, unapologetic attitude meant a sexual liberation for Gay men, particularly in big cities like New York and San Francisco. Known as the period of ‘Gay Liberation’ sexual permissiveness was for some, as well as a time of simply being more open, and visible. 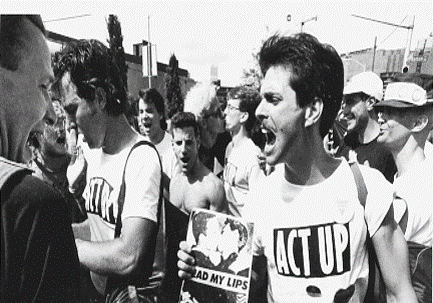 Within just over a decade the AIDS crisis would sweep in both decimating these communities and make the liberated and permissive days for many a distant memory but also radically redirecting the focus of community activism. 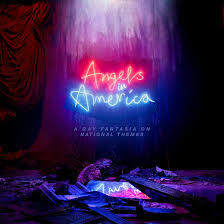 For the community the moment of freedom, both sexual and social was to feel short lived, by the mid-1980s, when Angels begins, there was both the ever-present fear of the consequences of sexual freedom, and the resurgence in discrimination that AIDS brought. The issues of gay identity, and the impact of AIDS do drive the piece, with Joe Pitt struggling to accept his sexuality, supressed under both religion and an upbringing and society that wouldn’t tolerate it. Roy Cohn, all-powerful in politics, is powerless to admit his own sexuality in a world where ‘clout’ is more important than truth, ultimately to his detriment as he goes to his grave denying himself. 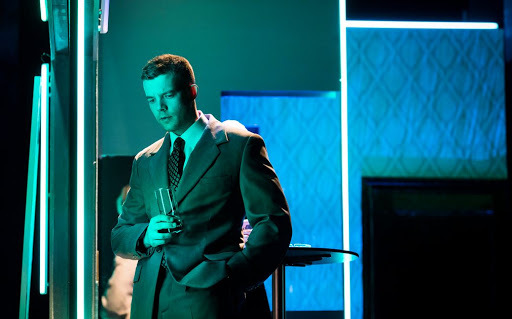 The play addresses being in the closet from two very different angles- in Cohn’s case, a man all-powerful in many respects, afraid of the implications his sexuality would have, but also a man who has done little to suppress his own desires across his life. But who wields sexuality as yet another weapon of power. Meanwhile Joe Pitt, fighting with all he must be the ‘good man’ his strict upbringing and religious upbringing have given him. Cohn despite his power, is at his most powerless at the mercy of the hand his sexuality has dealt him- and powerless admit it. Meanwhile Joe becomes empowered with his admission of his sexuality- brought to life in an incredibly awkward but realistic conversation to his Mother in which he declares ‘I’m a homosexual Mama’ and she dismiss him with ‘You’re old enough to understand your father didn’t love you without being ridiculous about it’. The story goes the overall feel if not the exact words were drawn from Kushner’s own coming out. Joe ends up freed from his marriage to Harper- or she from her marriage to him- but he remains lost in his new-found identity. And interestingly at the close of the play, his story is both unresolved, and the most tragic in its own way (as would Roy’s be if we weren’t so compelled ot hate him for who he is). A clear message on sexuality, and being honest with yourself and others. Elsewhere Louis, Prior and Belize are utterly unapologetic about their sexuality. Admittedly living in their New York bubble but they seem barely affected by elements of sexuality. Louis comments sarcastically about his parent’s disappointment at his sexuality, and appears semi-closeted at family events (though he takes Prior with him) but seems largely unthreatened. Prior also seems to have little qualms, except to shout at his Angelic visitor ‘I am a gay man I am used to pressure’. Jason Isaacs recalls the “invaluable” lessons that Kushner taught him about playing the character of Louis when he shadowed him for a few days in New York. One was to ignore anyone in rehearsals that found being effeminate offensive or unattractive, all of which he says happened. “Louis and Prior were in your face screaming queens and it was everybody else’s problem to deal with it,” The play is clearly unapologetic in its stance. And what of the issue of AIDS? The idea that AIDS is now an issue that is ‘over’ is a dangerously prevalent one. And while it is now a treatable condition it is still a lifelong, if treated, and remains life threatening if not. Infection rates rise again, and while we understand the virus more fully, a cure is still elusive. 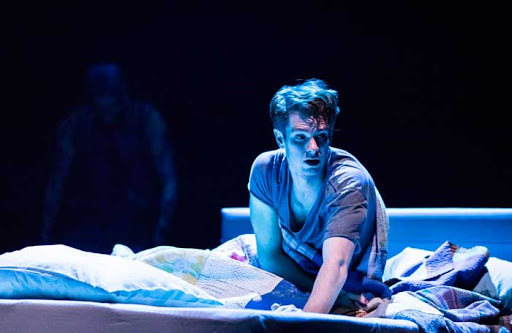 Alongside this, not everything in the play needs to be current, and while the politics and the characters resonate, it is also enough that this play acts as a memorial, to a time, and to the many lost to AIDS. Kushner was writing as a response to the decimation of a community, his community, and in revisiting that time through the stories he tells, we can do so as an act of memorial and as a theatrical lesson to those now too young to remember the fear of ‘I don’t want to go to the hospital, if I go I won’t come back’ as Prior himself says. And a Prior declares at the close ‘We won’t die silent deaths anymore’ the play now feels like a call to make that true, by continuing to tell these stories. It is part of a rich history of playwrights, from America and across the globe, in using theatrical performance as a platform for raising awareness of AIDS. 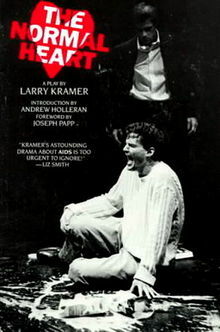 From smaller community, based endeavours by organisations such as San Francisco’s Theatre Rhinoceros, or London’s Gay Sweatshop in the early 1980s, through to the first plays to address AIDS on a wider scale, such as William Hoffman’s As Is in 1985 or Larry Kramer’s critically successful and politically confrontational The Normal Heart (1985). 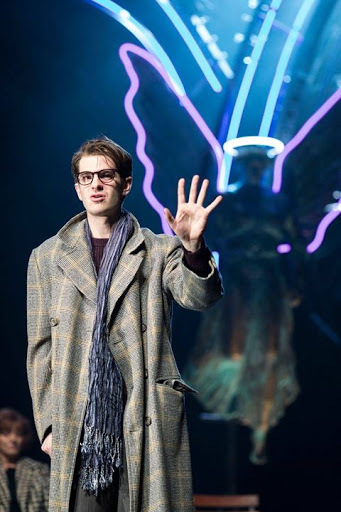 Although other plays to tackle AIDS came after Angels in America including the Tony and Pulitzer Prize winning musical Rent by Jonathan Larson, or the uniquely British approach offered by Kevin Elyot in My Night With Reg, it is Angels in America that has become the seminal theatrical work on AIDS. Also, winning Kushner the Pulitzer Prize for drama (1993) alongside numerous other theatrical accolades Kushner’s play became the next, and most critically successful of the plays which tackled AIDS. The AIDS crisis in the way Kushner tackles it was in some ways a departure from other playwrights of the era. Crucially Kushner’s characters are not activists like Larry Kramer’s Ned Weeks in The Normal Heart (1985), and though politics looms large, and any writing about AIDS is inherently political, it is not a political manifesto on AIDS. The responsibility for activism is passed to the audience, to be moved to action by the play, rather than instructed to it. Neither does Kushner take the more domestic, romantic notions of caring for your lover through the epidemic that the first AIDS play, William Hoffman’s As Is took. It is no coincidence then that 1985, the year the play begins, was also the year Rock Hudson died, forcing Reagan’s hand in finally mentioning the word ‘AIDS’ in a speech, but four years and over 5000 deaths into the epidemic life for the Gay Community was being irreversibly changed. Kushner began writing the play in 1986, and it became clear that the AIDS crisis was an unavoidable topic for a playwright seeking to capture the moment of American history. Kushner is writing at a point where AIDS had taken hold, with over 5000 deaths in America, but with no real response from the Government. Rock Hudson’s death forcing Reagan’s hand in finally acknowledging the crisis by name in 1985, but treatment, awareness and crucial research into the condition was all severely lacking. The first Bill on AIDS research was only passed through congress in 1984, and the $12 million targeted for AIDS research a relatively small amount. Life in the Gay community was being affected, in 1984 San Francisco ordered the closure of bathhouses, and New York would follow suit in 1985. Not only socially, sexually, but in everyday life people’s lives were being devastated- in a time of fear Gay men, and others with AIDS, found themselves losing jobs, homes and discriminated against. It is then at a significant moment of history in the AIDS epidemic that Kushner situates his play. It is more than the context of AIDS which fuels the play. Both Roy and Prior are depicted succumbing to aspects of their illness. In a literal fleshing out of AIDS to the audience, from subtle reminders of illness to full blown medical descriptions, Kushner keeps AIDS ever present in the minds of his characters and audiences. 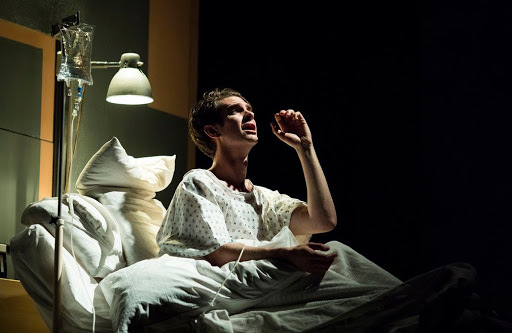 Kushner uses the physical and medical descriptions of AIDS to confront his audience, he starts early in the play with Prior revealing his diagnosis to Louis through the lesion he has found on his arm saying; ‘KS baby. Lesion number one. Lookit. The wine dark kiss of the Angel of death.’ This begins an unfolding of medical cataloguing and confrontation with the audience. From detailed medical descriptions with Prior and Roy’s Doctors that show both the uncertainty and the multitude of medical issues an AIDS diagnosis held in 1985. Kushner- and Elliot in her staging- also don’t shy away from depictions of AIDS. In the original New York production actor Stephen Spinella who played Prior was forced to given an interview in which he confirmed he did not in fact have AIDS so realistic was his performance. 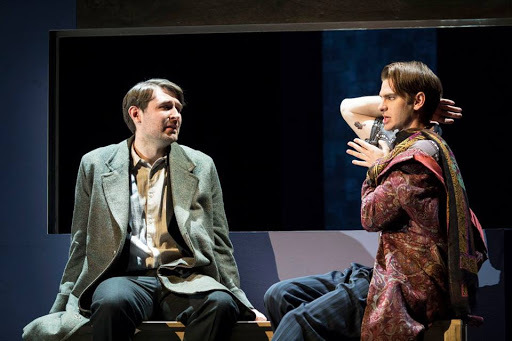 While neither Lane or Garfield will likely be confronted with such tabloid rumours this time around, the play contains and is directed with a realism that is difficult to watch as both characters succumb to their illness. 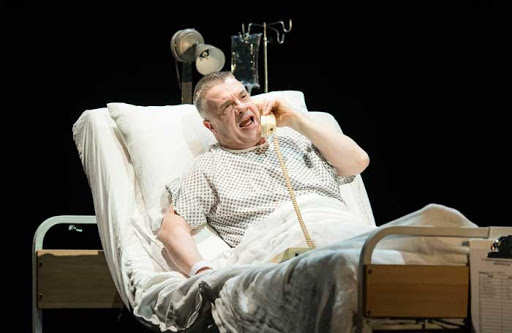 Seen convulsing with pain, collapsing, and bleeding on stage it’s a raw and honest approach to the illness- nobody quietly slips away into an attractive death, when Belize says of Roy ‘He died a hard death’ the audience has seen it, lived it with him and cannot argue that point no matter what they think of Roy. A particularly striking moment as well is when Roy pulls a drip from his arm covering the stage, and the other actors in his blood. There really couldn’t be a more confrontational metaphor for bringing the audience into the narrative of living with AIDS in 1985. It is however in the boldest choices of the stories he tells around AIDS that really put the power in Angels- and was the motivator behind creating drama about AIDS. To put a human face to the epidemic that was until now seen through the eyes of government information films with tombstones, and ultimately faceless statistics. Kushner’s true skill however is that he resists the temptation to present this in an idealised manner. Kushner has a different agenda to those previously who simply sought to draw attention to the catastrophe of AIDS. Instead Kushner has the luxury of interrogating the response, he says of the play ‘The question I am trying to ask is how broad a community’s reach is? How wide does it reach?’ but rather than offering an idealized sugar coated version, Kushner challenges his audience. On one hand he presents Louis, the seemingly kind, idealistic Gay man in a long-term relationship, who cannot cope. Who leaves. On the other Roy Cohn, antithesis of anything this idea of ‘community’ might stand for, and how deserving he is of the same sympathies we automatically extend to Prior. Louis’s question ‘[w]hat if I walked out on this?’ is also directed at the audience. 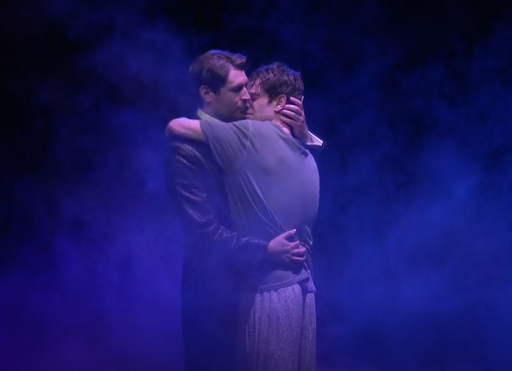 The uniting of the physical and personal allows Kushner’s text to transcend the nationality of the play and the demographic groups represented. 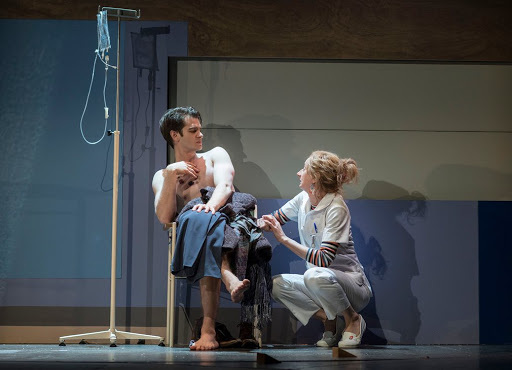 Kushner hopes that ‘you take the world you see into the real world if it moved you.’In balancing the emotional involvement with his characters alongside the medical depictions, both literal and metaphoric work together in Kushner’s depiction of AIDS. Kushner began writing the play in 1986, when it was clear that the AIDS crisis was an unavoidable topic for a playwright seeking to capture the moment of American history. Kushner is part of a rich history of playwrights, from America and across the globe, in using theatrical performance as a platform for raising awareness of AIDS. Kushner’s drama also sweeps far and wide on the politics, history and philosophy of America. Most significantly, it turns this history and philosophy to the audience, and when Prior states ‘The Great Work begins’ it is as much an invocation to action, as a conclusion to the play. And it is the writing that holds the power in the final scenes. Prior stands up to the Angels and commands them to ‘Bless me anyway’ and then turns this on the audience telling them ‘And I bless you. More Life.’ What that ‘More Life’ might mean is ultimately in the hands of the audience, and 25 years after the original naturally some of that meaning, and what is carried out may have changed. It was never about the specifics of the politics for Kushner- he was writing back to the Reagan era as Clinton was elected president.